The Persian carpet is the manifestation of the hard work and artistry of the Iranian people achieved over millennia. “When you have one of these rugs in your home, and you wake up in the morning, it’s like the rug is talking to you. That’s because the weave has spent months, even years weaving the rug. 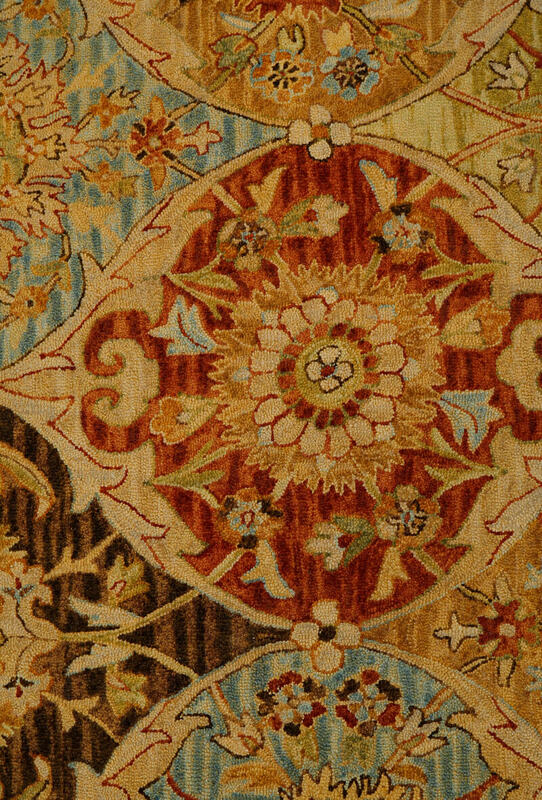 He or she has shared his/her sadness and happiness with that rug”, says a master craftsman. From brilliant blues to vibrant reds, there never seemed to be enough color. Every carpet tells a story. An artificial machine woven rug is the most beautiful when you buy it because it’s brand new and clean. But the specialty about rural Persian rugs is that it becomes more beautiful as the time goes on. Some Persian rural rugs are 500-600 years old and are kept in museums. They look even more beautiful than they did on day one. The sunlight or water hasn’t worn out their color. They just become more graceful as the time goes by. There are a lot of ancient fragments found in the world. The oldest is the Pazyryk carpet that is considered as the oldest known carpet in the world. It is the oldest pile carpet that was found in the Pazyryk valley in Siberia in 1949 by Russian scholars. The carpet is almost 2500 years old and is currently at the Hermitage Museum in Russia. The Persian carpets use a variety of historical symbols and motifs. However, the ‘paisley’ motif was one of the most original motifs used on the Persian carpets. It is one of the most outstanding Iranian handicrafts and is very diversely colorful. A single carpet has about 15 to 25 colors and every color has a certain meaning. The patterns and designs are a reflection of the weaver’s feelings, culture, and his/her natural surroundings. The patterns depict natural elements like birds, animals or ancient motifs passed down through generations.